I overheard someone at a church potluck bemoaning the fact that very few people make ‘real’ lemonade anymore. As in, made from actual lemons and sugar, rather than a mixes with artificial this and high fructose that. My kids love raspberry lemonade, so I thought I’d give it a shot. First, I sliced up four lemons in the food processor. I added a cup of sugar and mashed them all together with the potato masher. Then I mashed in a cup of frozen raspberries, added a couple tablespoonfuls of frozen lemon zest, and let the whole mess set for a half hour. 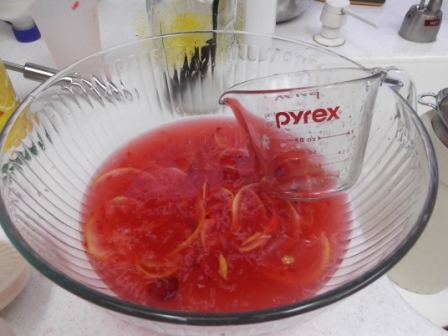 I strained all the fruit out, and added a couple cups of lemon juice. Then I stirred in more sugar and water till it all tasted about right. I ended up with about a gallon of juice. Judging by how fast it went, I think they liked it. 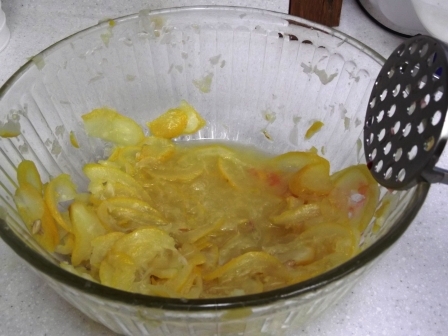 Slice lemons in food processor. Stir in zest, sugar and raspberries, and mash with potato masher. 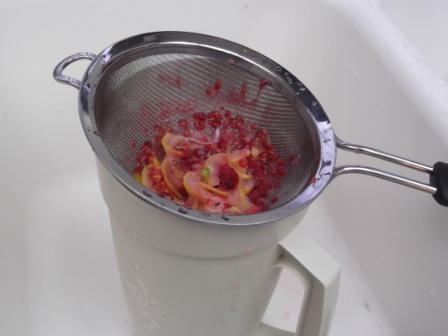 Strain juice into pitcher and discard mashed fruit. Add sugar, until mixture tastes sweet enough for you. 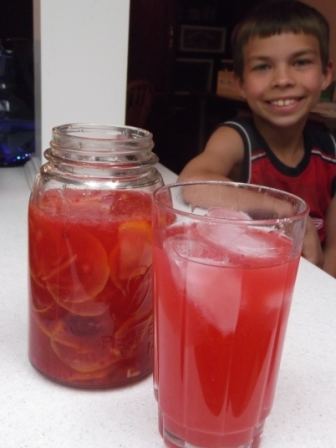 This entry was posted in Allergy-Friendly, Beverages, Comfort Food and tagged homemade raspberry lemonade, lemons, raspberries, raspberry lemonade, real lemonade. Bookmark the permalink.